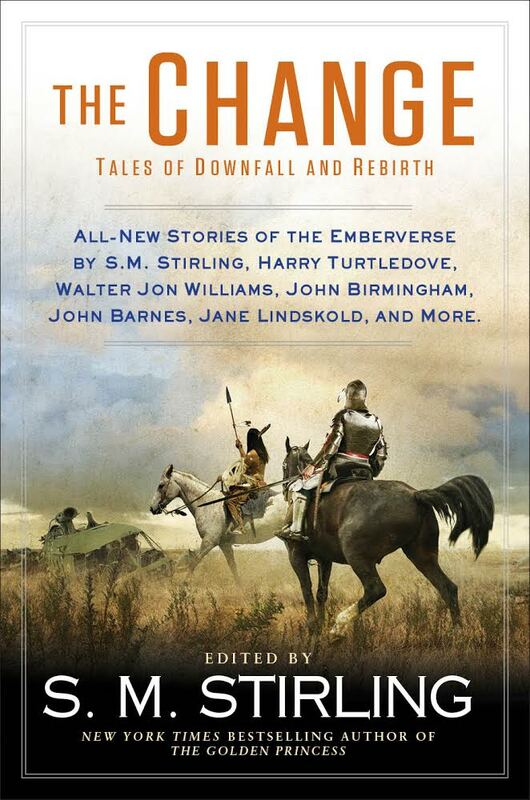 This June, The Change: Tales of Downfall and Rebirth releases from Roc, and I’m honored my story “Against the Wind” will be included in the anthology. Stories are set in New York Times best-selling author S.M. Stirling’s post-apocalyptic Emberverse, where all electronics, explosives, and internal combustion engines mysteriously cease working and humanity must find a way to survive. The anthology — with stories from SF luminaries including Stirling, Harry Turtledove, Walter Jon Williams, John Birmingham, John Barnes, Jane Lindskold and others — is a great introduction to Steve’s world or a fun companion to his novels. Kicking things off on Monday, June 15 at 7pm, a number of contributing authors (including me!) will be joining S.M. Stirling at George R. R. Martin’s Jean Cocteau Cinema in the historic Railyard District of Santa Fe. Following a panel discussion, there will be a mass signing with the anthology contributors. Then on Saturday, June 27 at 4pm, another panel discussion and signing will occur at Page 1 Books in Albuquerque, which has been locally owned and operated for over thirty years. If you are in the area, please join me and many of the local SF authors in the state. If the timing for these two events doesn’t work, you can always catch the contributing authors at an anthology-based panel at Bubonicon this year—New Mexico’s oldest science fiction and fantasy convention. The theme this year is “Women of Wonder” with co-guests of honor Tamora Pierce and Catherynne M. Valente, toastmistress Mary Robinette Kowal, and guest artist Ruth Sanderson. August 28-20th at the Albuquerque Marriott Uptown.